Latte art has always been fascinating to me, but don’t ask me when I started actually trying to achieve it. It’s really not meant to be – everything I needed started falling apart, beginning with the milk-frother and then the whole coffee machine. Nice! Not to mention I really should invest in more adequate utensils to get some tangible results… but I’m not really sure I’ll actually be up to it! It was only when I stumbled across this beautiful movie that I had the idea of using cappuccino stencils to facilitate the whole thing. I had a browse online and realised I didn’t want to pay that much for something I would actually do myself almost costless, and also, I really loved the idea to come up with different designs, figures and texts and reflect my mood in my morning coffee. So I designed and created my first stencils and since then I made others and others (and if you have had a look at my Instagram profile, you’d had realised how excited about the whole thing I am!) 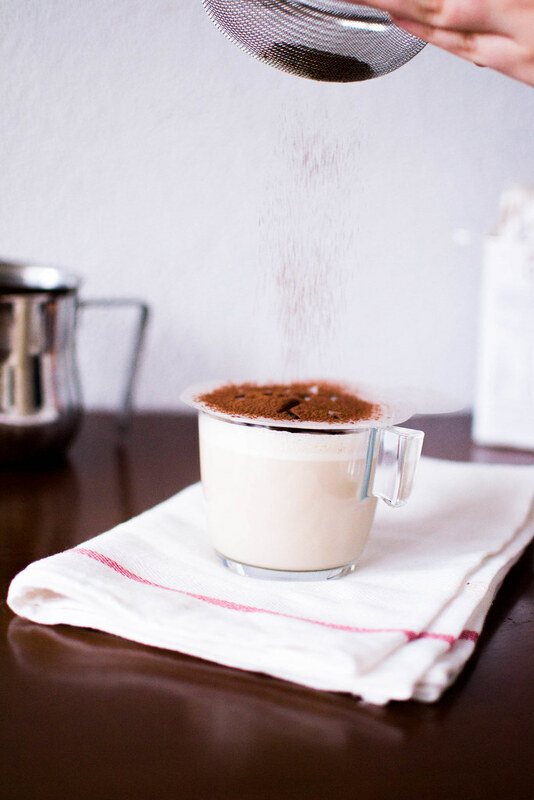 and sharpened my technique until now I’m able to share how to make DIY cappuccino stencils from scratch with you! 1 :: First off, print the stencils on A4 paper. 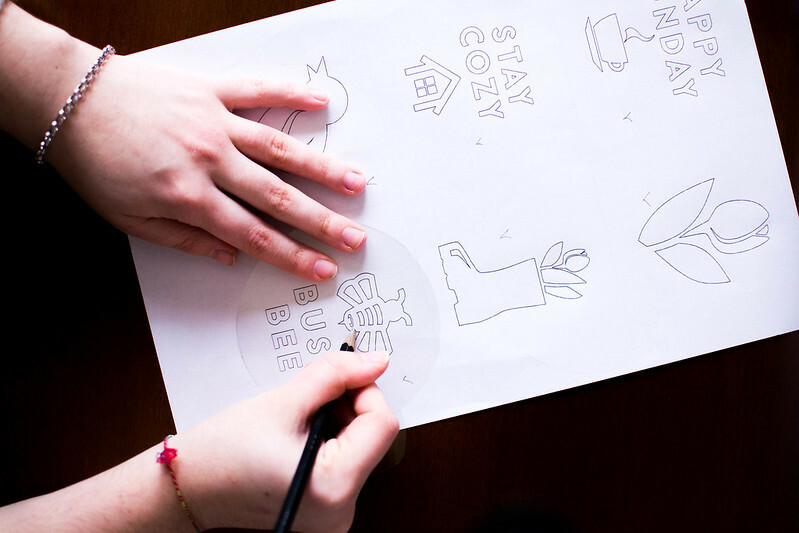 Use the top of a mug to draw the shape of your stencil and make sure it would be the exact size of your mugs. 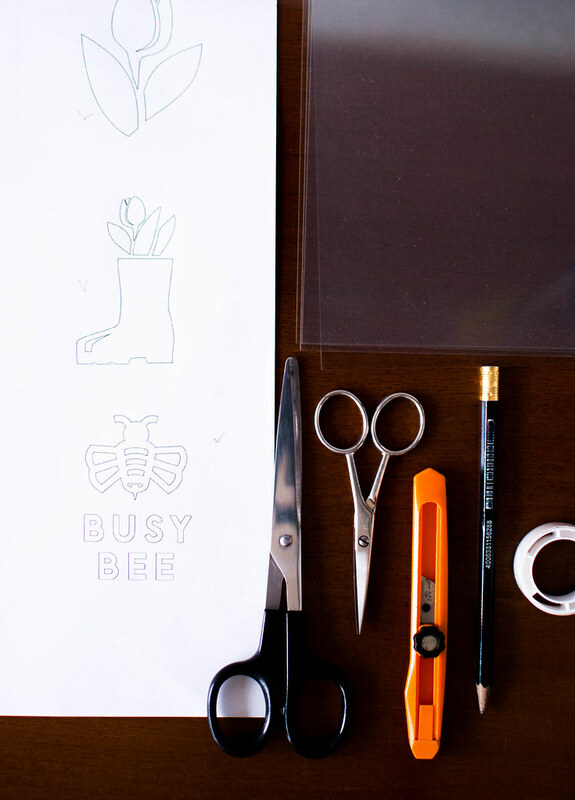 Create the stencil handle using a small round object, then cut the stencil using your scissors. 2 :: Trace the design onto the stencil sheet using a pencil and making sure it’s in the middle, then cut the stencil with a precise cutter and small scissors onto a cutting mat. 3 :: Use the tape to fix any mistakes! 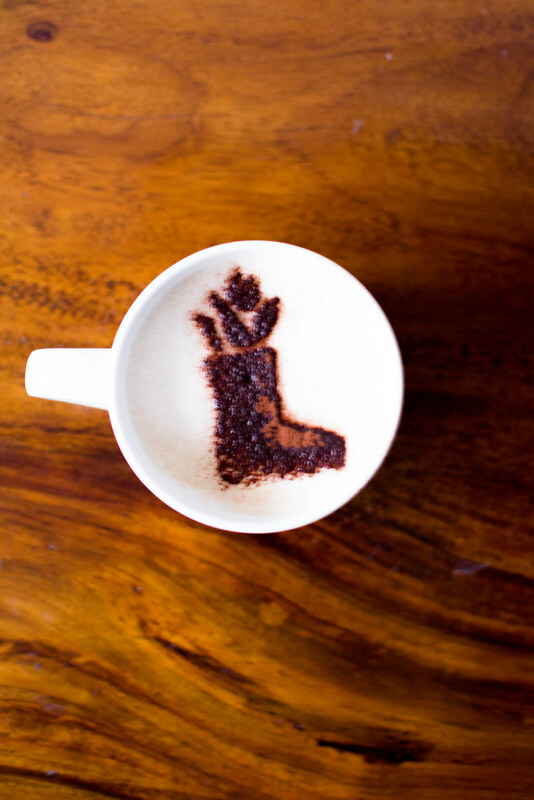 4 :: Wash your stencils before using them, then make your cappuccino, place the DIY stencil on top of the mug and sift the cocoa over it! 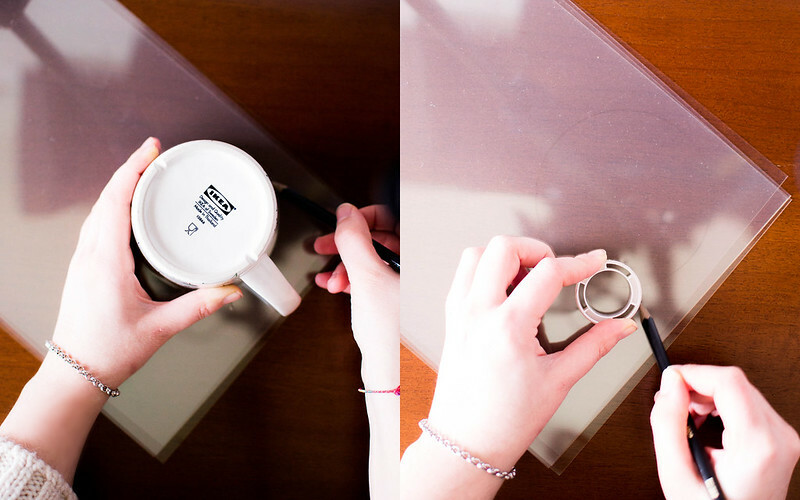 Use the handle to easily remove the stencil and enjoy your beautiful coffee! On a milk-frothing note, I’m not one to give tips as I do things that are not exactly professional (no, I don’t always pour too much milk and no froth at all and then end up trying to reduce the amount of milk in my mug in the most embarrassing ways, which I won’t tell here to avoid to embarass me even more) but I’d say as much as something like the IKEA Milk-Frother is so easy and quick to use, you won’t go any far by using it before creating a cocoa design on top of your latte: it creates too many bubbles and once the cocoa powder hits them, they will pop and ruin the design! Steam is the way to go, and trying and avoiding bubbles as much as you can. 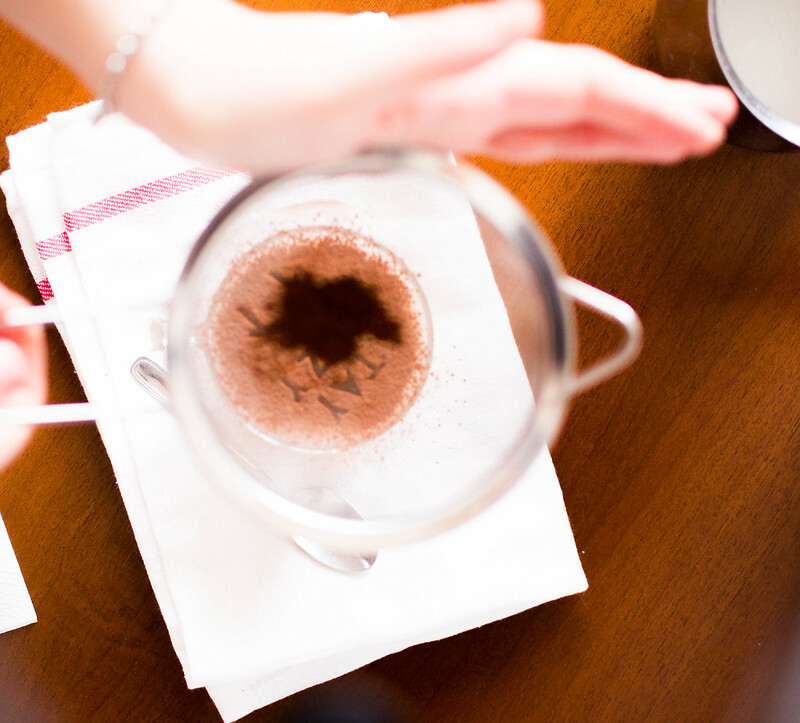 Try swirling the pot or tapping it onto a surface before pouring the milk in your mug to eliminate the air. The trick is to not overdo with the cocoa powder, the less the better! 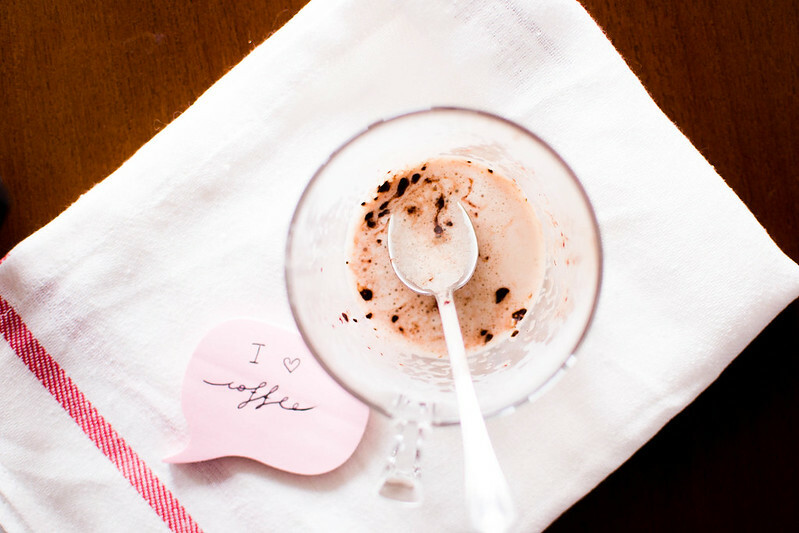 I love the idea of creating DIY stencils for my food so much that I might start designing something for my cakes too! 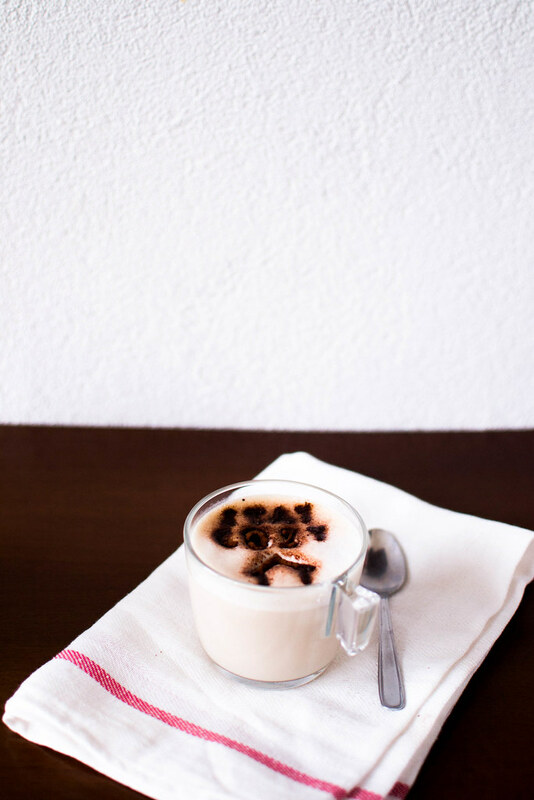 It’s so fun to create a different creative cappuccino every morning, it totally brightens up my day! 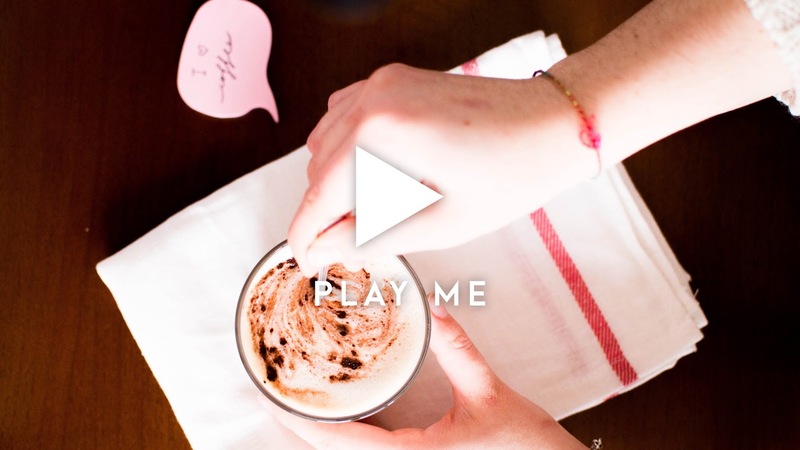 Let me know if you try this project and tweet me a picture of your cappuccino if you do! This is such a crafty little idea! I wish I liked coffee so I could do this .. maybe it would work with hot chocolate lol?- probably wouldnt show out as much though. I am not a coffee drinker but these are super cute!!! This is such a cute idea! Love your photography. Stunning!